Sand and Sludge are no match for this solid aluminum nozzle. A forward-facing jet and 8-Rear facing jets (@15 Deg.) 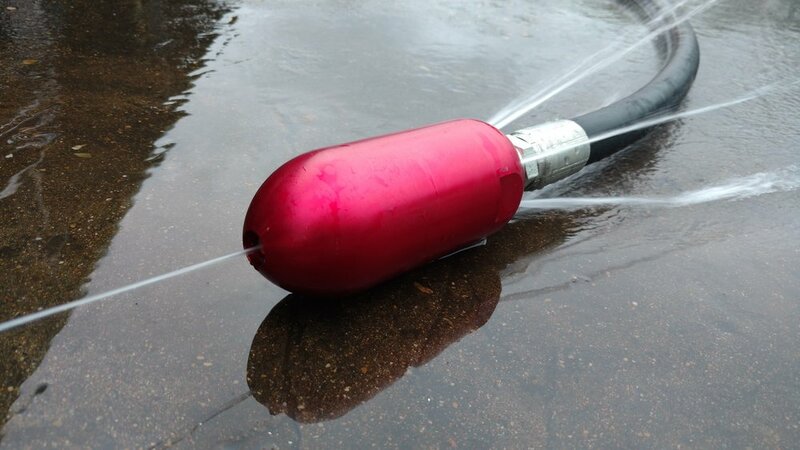 ensure a solid pattern behind this nozzle for breaking up debris and sending it downstream. 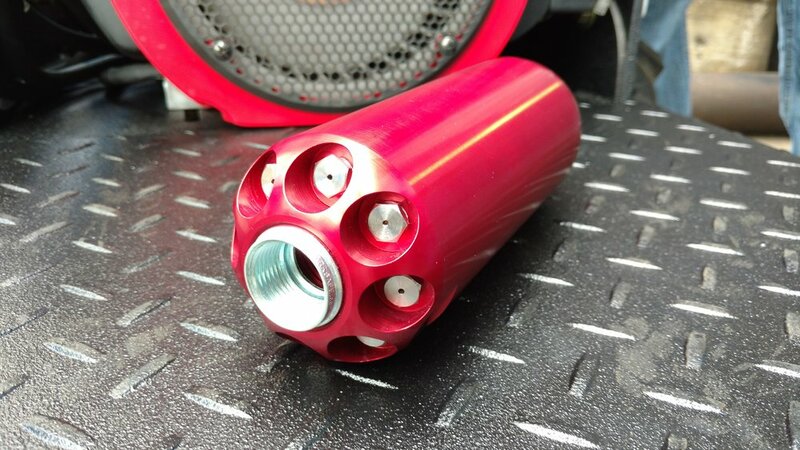 Also, the red anodized finish lets you know this nozzle means business. 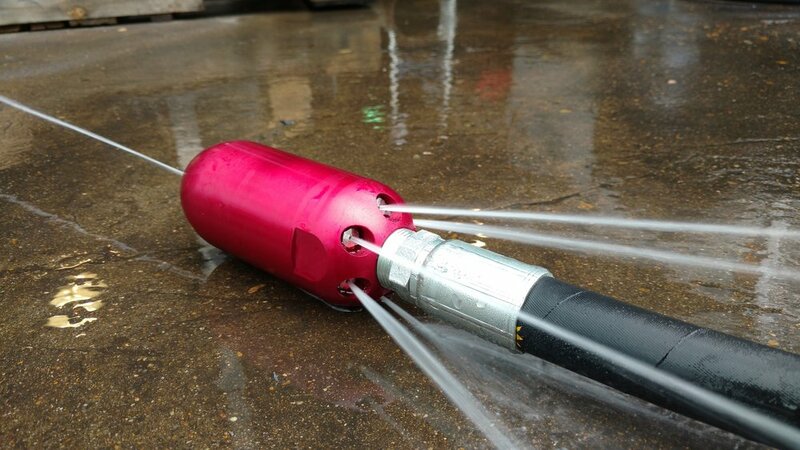 Any crew looking for an ideal nozzle to tackle lines heavy with debris. It’s light body lets it drive right up on top of heavy obstacles. We wanted to eliminate the need for a fin/tube skid for 3/4" water systems. When using this nozzle a fin skid is not needed. Also, adding more metal adds life to the nozzle by giving more sacrificial metal. 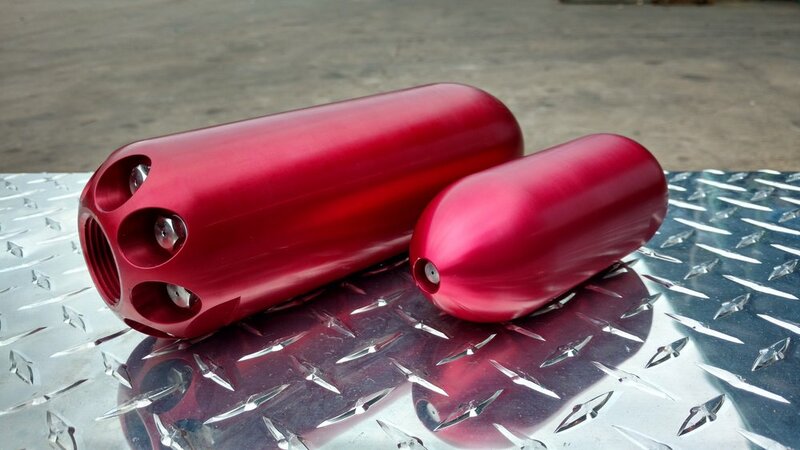 We kept the 3/4" version to 5.5" so that it could still be used for smaller lines if needed. Why did you Anodize this nozzle? Because it looks great! and runs even better!